As the weather gets cold, pet parents are reminded once again to keep pets inside on cold days. 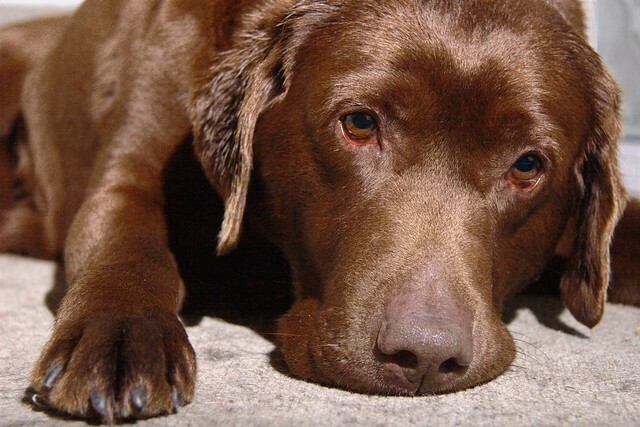 Your fur friends can easily be prone to all sorts of hazards, even death, once the weather isn’t so sunny. Remember that, while your pet has fur, once the weather drops to a certain point, that is no longer enough to keep your furry family member safe from the elements. Cold weather can cause hypothermia, respiratory issues, frostbite, and even death. The stories and warnings you hear each winter are not rare or overly cautious. Each cold season, pets are affected by the harsh elements, and (if left out too long) die. You don't want to find out the hard way what could happen when pets are exposed to cold weather too long. While your pet may seem okay outdoors on a cold day, don’t take that as an indicator that he can stay out for long periods of time. Of course, animals like dogs should be let out for potty breaks. They may also be able to play outdoors some and should take walks, depending on how cold it is. But take caution and don’t leave them in cold weather for too long. You may want to keep your cat inside during the entirety of the cold patch, due to the fact that cats can quickly run off. If you can’t find your cat to bring him or her inside on time, freezing to death is a possibility. Smaller animals, animals with coarse fur, or animals with short hair are more prone to getting cold than others. If they must go out, be sure to make use of a sweater and booties to keep in the heat, as well as to help prevent frostbite. This won’t allow your pet to stay out for extended periods of time in weather that is too cold. However, it will be helpful during exercise or bathroom breaks. We’ve all seen those ads and commercials on how quickly animals and babies can die in a heated car. The same is true in an environment that is too cold. Protect your pet’s toe pads with booties to prevent frostbite. 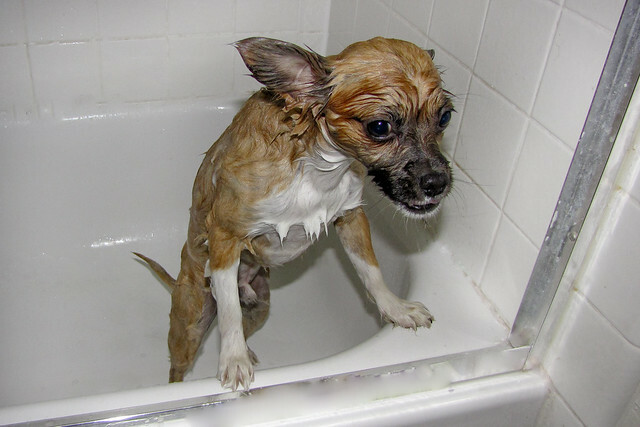 Wipe with a warm cloth, towel dry gently, and apply petroleum jelly after walks. Be on the lookout for antifreeze, which is used commonly in cold weather. It has a sweet smell and is tempting to your pet but could kill him or her. Salts for keeping streets and walks clear can damage your pet’s toepads. Use the same techniques as for frostbite protection. Always use a pet coat or sweater on cold days if your pet needs to go outside. On extremely cold days, keep your pet indoors and use puppy pads, a puppy patch, or a litter box. *To receive more news and info about pets around the globe, hit the subscribe button and you’ll receive a notification each time we publish pet-related news, tips, and info. If you have a story idea, please contact Lyn Lomasi at Ask Lyn. Both options are always free and informative! Thanks for reading and sharing. The popular Nylabone company has recalled one lot of the 1.69 oz. package of Puppy Starter Kit Puppy Chew products. There is a possible risk of salmonella contamination. Therefore, these treats should not be given to your puppy. The risk does extend to humans as well. Any animal, including humans, who directly touches a product infected with salmonella should wash hands immediately after said contact. If hands are not thoroughly washed or the product is ingested, contamination is possible. Any human or animal who has come into contact with the product and exhibits the symptoms of salmonella contamination should seek immediate medical attention. Turn over the package and look at the best by date stamped on the back near the bottom (as pictured above and below). If the best by date is 3/22/18, your product is affected. If you cannot clearly see the best by date,you can also check the lot number and bar code for this information: Lot #21935, UPC 0-18214-81291-3. If this information matches your packaging, this product is recalled and may be contaminated with salmonella. Discontinue use of this product right away and return it to the place of purchase for a full refund. Do not throw the product in the trash, as it is contaminated and needs to be disposed of properly. For questions, dial the Nylabone company at 1-877-273-7527, Monday through Friday from 8:00 am – 5:00 pm Central time (after hours/weekends covered by third-party poison control center).